“Qrator is an oasis for modern artists and designers looking to elevate their products on a global scale. It is the destination for those looking to accent their modern home and daily lifestyle with unique art & design." - Nikolas I. 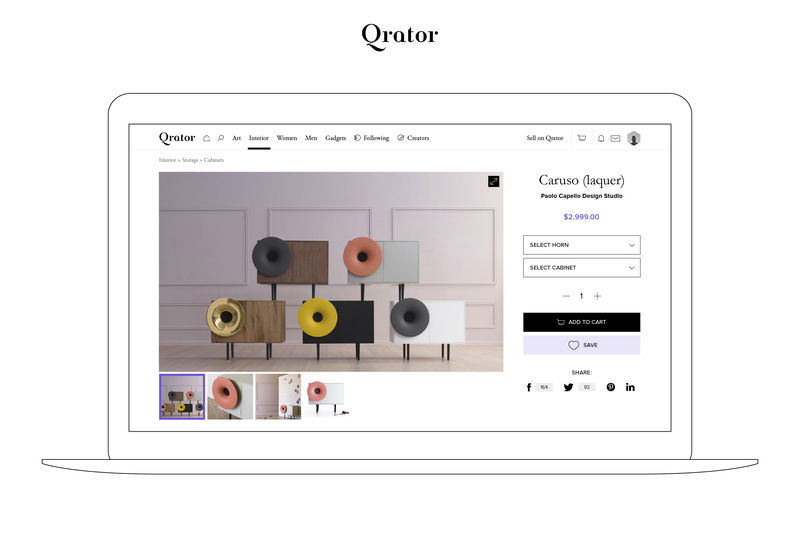 Having raised $810,000 in funding from international investors, startup Qrator.com is poised to become a trailblazer in modern art & design e-commerce, revealing its new online marketplace featuring 4,000+ curated items from some 350 independent international makers. Geared toward experiential consumerism, Qrator’s marketplace connects makers of minimal aesthetic items to design-conscious consumers around the world. Transcending borders, Qrator offers makers a fitting venue to reach a worldwide audience, while consumers gain access to a one-stop-shop marketplace for the best of modern art & design. “Qrator is an oasis for modern artists and designers looking to elevate their products on a global scale. It is the destination for those looking to accent their modern home and daily lifestyle with unique art & design,” says Nikolas Ioannidis, Qrator CEO, president at the Belvedere Hotel in Mykonos, Greece, part of the Small Luxury Hotels of The World, and a partner with celebrity Chef Nobu Matsuhisa. Qrator members and guest visitors can browse items in the categories of: art, interior, women’s and men’s accessories, and gadgets. Featured products include handcrafted furniture, lighting, kitchenware, artwork, jewelry and smart tech. “We love how Qrator is very different from other platforms. Its style has influenced the way I design my own things. We are also selling better on Qrator than other platforms. It perfectly fits our aesthetics,” says Wieger Josemans of Trobla - the maker of a wooden acoustic smartphone amplifier. 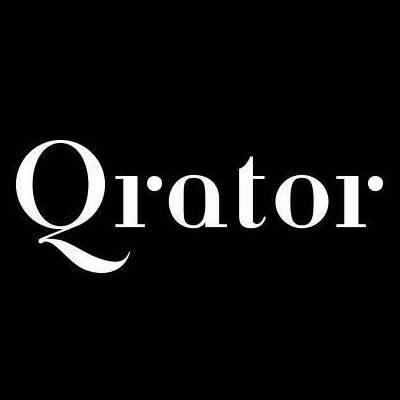 Qrator is active on social media and mails out a daily curated newsblast featuring top designer items to 50,000 subscribed members. Qrator plans to later this year reveal its iOS and Android apps. Qrator was founded by Nikolas Ioannidis (CEO), a robotics engineer and hospitality entrepreneur, as a channel to bring curated modern art & design by independent makers around the world to an online marketplace for global consumers. Qrator is the brainchild of a visionary entrepreneur eager to help disseminate great work. A romantic who believes that the world would be a better place if we paid a little more attention to the rare and transcendent. An idealist who lives his life by Hubert de Givenchy’s quote: “Luxury is in each detail”. Nikolas Ioannidis had been searching - seemingly forever - for an online marketplace that caters to his needs and sensitivities as a luxury hospitality entrepreneur on the cosmopolitan island of Mykonos. For Nikolas, an object that combines its creator’s inspiration with inimitable aesthetics and unique craftsmanship, has something singularly noble. For that reason, it merits respect and should never be piled together with mass-produced merchandise. This, however, is the reality of most popular online marketplaces: objects of the highest caliber are paired with cheap knock-offs and uninspired counterfeits. Consequently, both the creators’ work is vastly degraded and prospective buyers quickly lose interest in this motley arrangement of the noble and the profane. It was Nikolas’ own quest to discover unique designs that sparked his idea to launch Qrator: an online marketplace featuring the best of modern art & design discovered and curated by Qrator’s very own team. “We discover and accept only creators who make no concessions regarding their work. Each item on Qrator must stem from an original vision, it must break new ground and obey higher aesthetics. It must be original in its inception and elegant in its creation. "Qrator helps independent artists and designers reach a global market of design-conscious people eager to discover and buy unique items in the categories of art, fashion, interior design and gadgets. Qrator hosts passionate makers who exemplify professionalism in their craft, but are not large enough to mass produce or be considered commercial," Nikolas Ioannidis says. Nikolas Ioannidis is president of the Belvedere Hotel in Mykonos, Greece, part of the Small Luxury Hotels of the world, and a partner with celebrity Chef Nobu Matsuhisa. Qrator Designer ShopQrator discovers & hosts international independent makers of modern Art & Design on its marketplace. Qrator Art & Design Giveaway ContestQrator is collaborating with 20 international makers, awarding FREE Art & Design items to 20 lucky winners in August.